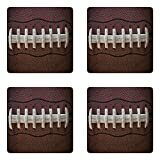 While spilling a huge cooler filled with an icy sports drink over the coach's head is cool on the football field after a victory, it's still not welcome on your coffee table with beers, sodas, and other drinks while you're watching the game at home. 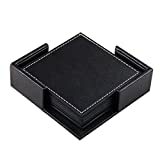 So this football season, ensure your drinks are secure and your table is protected when you use one of these cool new NFL Football Leather Coasters. 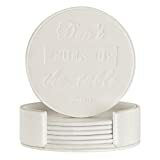 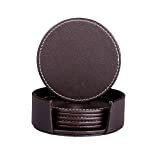 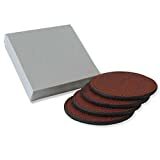 Crafted from the same Horween leather used to make an NFL football, these circular coasters are sure to give your drinks a good grip and prevent them from spilling and slipping all over your nice furniture. 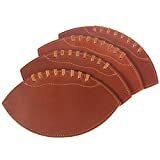 They come in a set of 4 and make a fun gift.